Image: Abdullah AlBargan/Flickr//Original photo was cropped but not altered for this article. It looks like the summer of 2016 will be the battle of the burgers in Los Angeles. That’s because the widely revered Shake Shack is setting up shop in West Hollywood, making it the first SoCal outpost of the chain. In Los Angeles, In-N-Out is king, but while East Coasters drool over the thought of a Double Double Animal Style with grilled onions, West Coasters instead dream of frozen custard, portobello mushroom burgers and grilled split hot dogs. Finally, their fast food wishes are about to come true. Someone hold my poodle! @shakeshack is coming to West Hollywood! #shakeshackLA and #Hillary2016. Finally, a future i can get on board with. 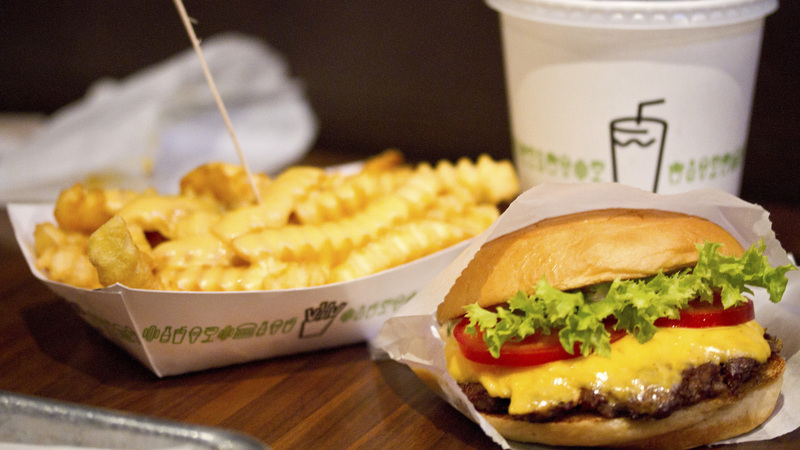 So, what can Angelenos expect on their first trip to Shake Shack? All-natural, antibiotic-free Angus beef burgers, for one. Niman ranch bacon, loaded hot dogs and beer and wine, for another. Shake Shack is definitely more upscale than In-N-Out, but both have equally fervent followers — and I’m guessing everyone in LA will be happy to have their options open.